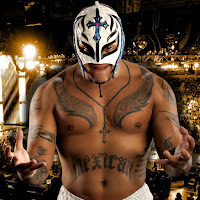 According to Tennessean, Rey Mysterio has joined the Nashville-based wrestling company called Aro Lucha. Mysterio will not only be a performer for the company but he will also be the co-owner as well. There are plans currently for Mysterio to appear on the first season of the new upstart promotion’s television show. Mysterio said that the promotion will be fan-funded and fans will be able to a minority stake in the company. Co-founder and CEO Jason Brown also discussed fans getting in on the action. It remains to be seen if negotiations with Mysterio and WWE continue at this point. It was reported a few weeks back after Mysterio suffered a partial biecps tear that he would be meeting with Triple H to finalize a deal. With Mysterio starting up his own company now, it will be interesting to see how things play out. We will keep you updated if we hear anything regarding Mysterio’s WWE status.